Vamos aprender o Português! Come learn Portuguese at the Portuguese for Spanish Speakers workshop! There will be two workshop dates (April 7th and May 4th) to choose from this semester. Learn Portuguese, try delicious Brazilian food, and make new friends! 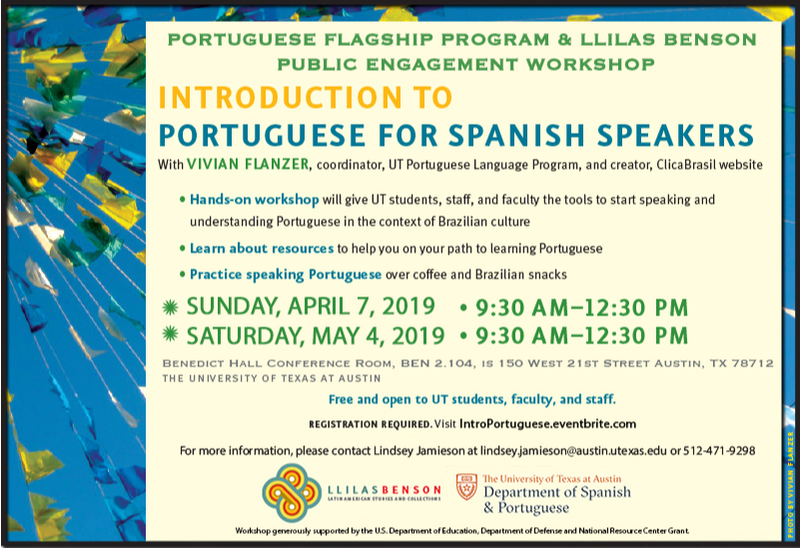 Please visit IntroPortuguese.eventbrite.com to register for either workshop!